So what do you guys think, it is one of the first proto types, the retail version will be in black, releases date in the coming weeks. 1. 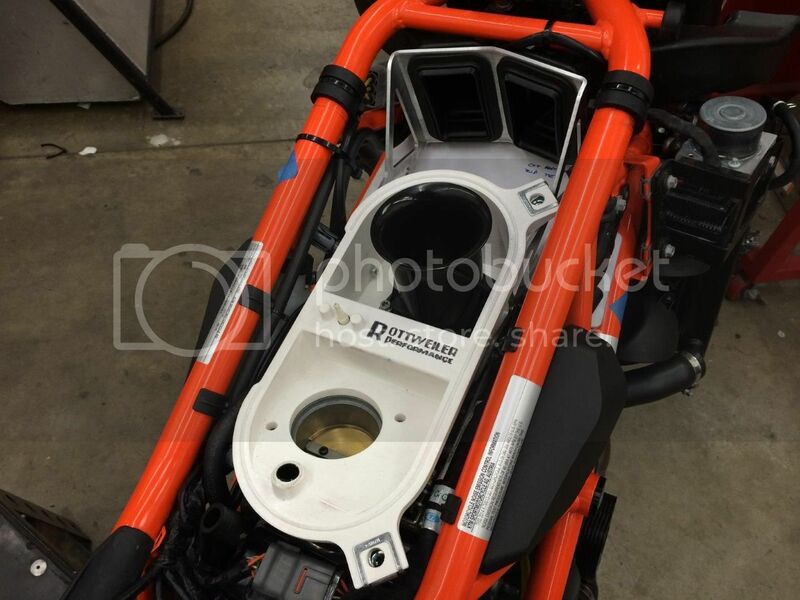 In the first pic the rear cylinder's velocity stack is missing, I assume that is just an "in process" pic and it is still used with the airbox? 2. Is there something that directs the air from the rams to the airbox. 3. 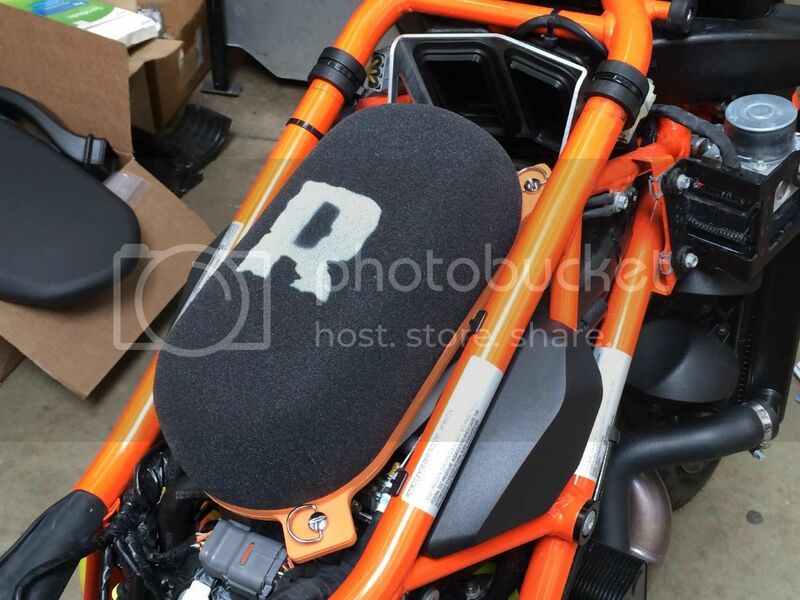 OR is there a top for the airbox that captures the air from the rams and somewhat shields the intakes from sucking the hot air from the engine/rad? Looks the goods! Take my money! 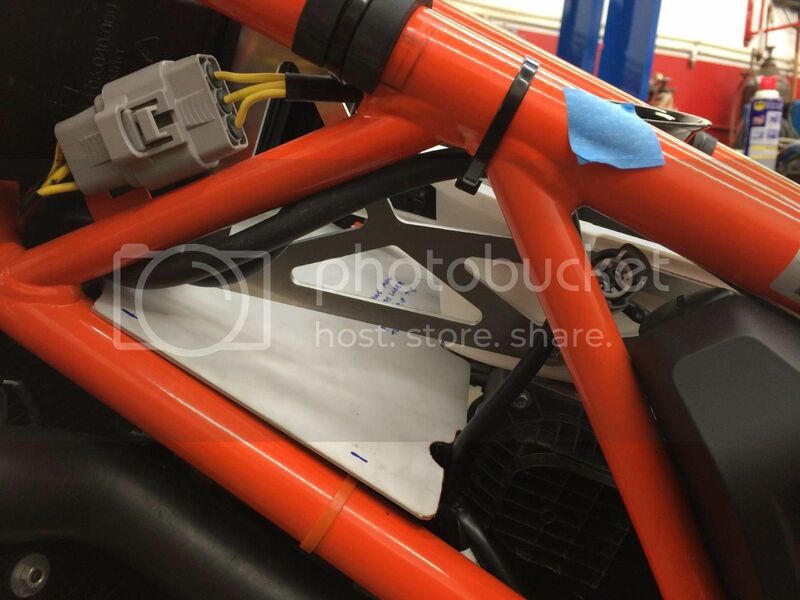 Looks like the other air boxes for CPR . Looks good. I am worried about water entering that box and how much air will be restricted by the tank. Will the tank compress the filter? What is the idea behind retaining the front snorkels? Comrade: Clearly the storkels blow the air towards the foam and it's assumed to find its way through along with any other air that can be sucked in from the sides. This seems a little hit and miss to me especially when the air from the snorkels is under slight positive pressure and might be slightly cooler than any air sucked in from the sides. It seems a bit of a shame to waste that part of the original design. I wonder whether an improvement might be to still funnel the storkel air into the front of the system and have the foam mate with a rigid structure there? I have been told not all has been reviled & that there are some trick parts under that filter as in different stages. I'm excited to see an improvement over stock from a quality company. It will be interesting to se the dyno results. As soon as I get my hands on one I will do back to back Dyno testing & build a custom single cylinder PCV map. kevxtx wrote: As soon as I get my hands on one I will do back to back Dyno testing & build a custom single cylinder PCV map. kev, what are your power gain expectations with the box, tune and exhaust? Hard to say we will soon see, with the extra goods under the foam I will have to do quite a few different combination runs to see what the motor wants. The biggest gains we saw on the 990 was HP & Torque/Time measured on the Dyno, the free flow air box really showed it's gains under acceleration this could be felt in the real world when riding around, I don't want to post any 990 back to back Dyno runs in any of the 1290 posts so I don't confuse people. Last edited by kevxtx on Sun Aug 17, 2014 7:33 am, edited 1 time in total. What I think is, I want it. Shame they wouldn't better utilise the ram air intakes but if the gains are there who cares. Headers, PCV and this I want. There would be no benefit in running a ram air system on the 1290 in Oz with our road speeds, if we could travel at speeds over +200kph then I would look towards that mod. kevxtx wrote: There would be no benefit in running a ram air system on the 1290 in Oz with our road speeds, if we could travel at speeds over +200kph then I would look towards that mod. I personally want all my power before 8500rpm with hard hitting power, I am not interested in flogging the motor to red line to get the best power out of the motor. kevxtx wrote: I personally want all my power before 8500rpm with hard hitting power, I am not interested in flogging the motor to red line to get the best power out of the motor. Well said - enough torque to turn the world backwards at lower revs is far more fun on the road than screaming around trying to hit a peak power number. Area under the curve always wins. This bike is going to be by far the most fun anyone can have on two wheels once we can get these few little mods fitted and refined. A little work on the production bugs, the limited TC and wheelie control and even those of us that have been around fast cars and bikes all our lives are going to have smiles on our faces that will be hard to remove. Stuff thrashing the motor at high rpm if we can have the bang down lower in the range, this motor is perfect for that. I assume the snorkels remain in place to keep the stock look! Will it be available this year?